The Official PlayStation Blog takes us behind the scenes at the gala casino night event held last week in honor of the impending release of Ratchet's robot buddy's first solo adventure, Secret Agent Clank for the PSP. Members of the San Francisco-based media were shown a brief presentation on the game and allowed to get their paws on it before retring to the gambling tables for some good old-fashioned James Bond style blackjack action. While looking at photos of the gaming press get drunk and play cards is fascinating and all, the big news here is the release date for the game. 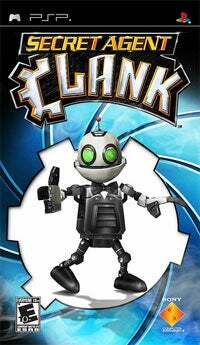 Clank strikes out on his own on June 17th, and judging by the series' first foray onto the PSP, we're more than likely in for a hell of a good time, even if it is mostly Lombax free.